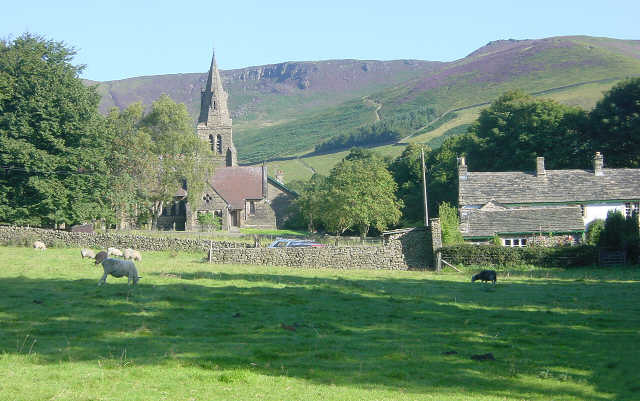 Looking north to Edale Church, in the Peak District National Park, with Kinder plateau in the background. © Copyright Martin Clark and licensed for reuse under this Creative Commons Licence. This page has been viewed about 2863 times.